It's always such a privilege when someone who you've long admired reaches out for help on their own client gifts. In this case, I'm talking about the super talented Katie Durski, owner and founder of KD Creative Studio. She specializes in branding and web development for creative small business owners, particular those in the wedding industry! She also does wedding branding for engaged couples under her sister company Ribbon & Ink. 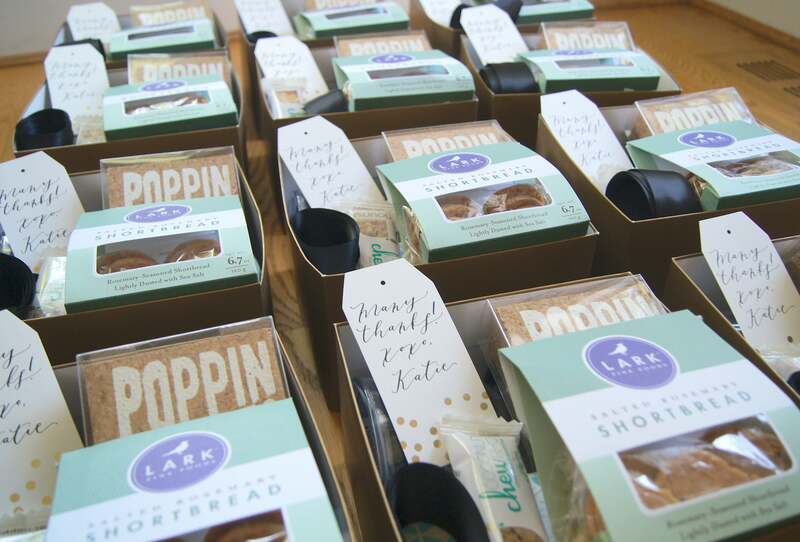 Think monograms and other custom design elements for save-the-dates, invitations and even paper goods for welcome bags. Fun stuff! As with most successful business owners, they really take a huge interest in their clients and Katie is no exception. Her goal was to create a gift to send to her clients upon beginning a project with her. She didn't want it to look too "corporate-y" yet still wanted the gifts to portray the look and feel of her bright and bold brand. Exactly what we love to do! Her branding colors are teal, gold, black and white so I searched for contents in variations of these same colors. I opted for gold gift boxes and filled them with snacks with teal packaging. 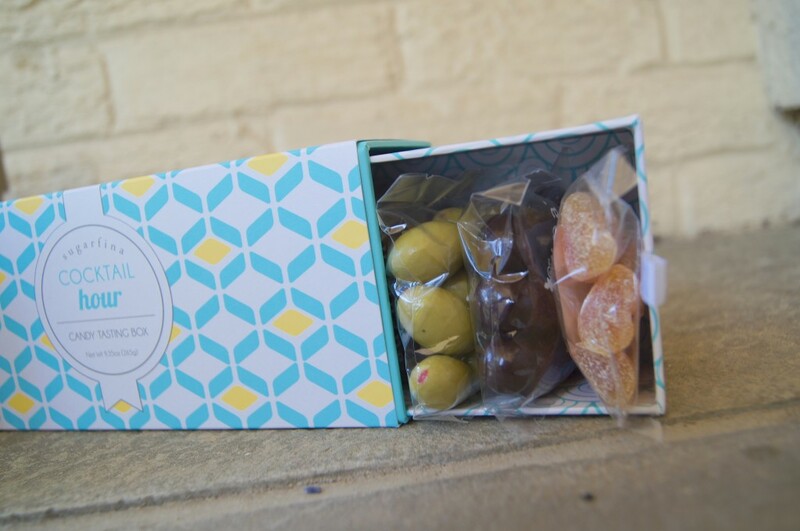 I'm head over heels in love with these Sugarfina candy tasting boxes. Not only did the outer packaging fall in-line with our color palette for the project but the "cocktail hour" theme is fun and the perfect amount of sassy. 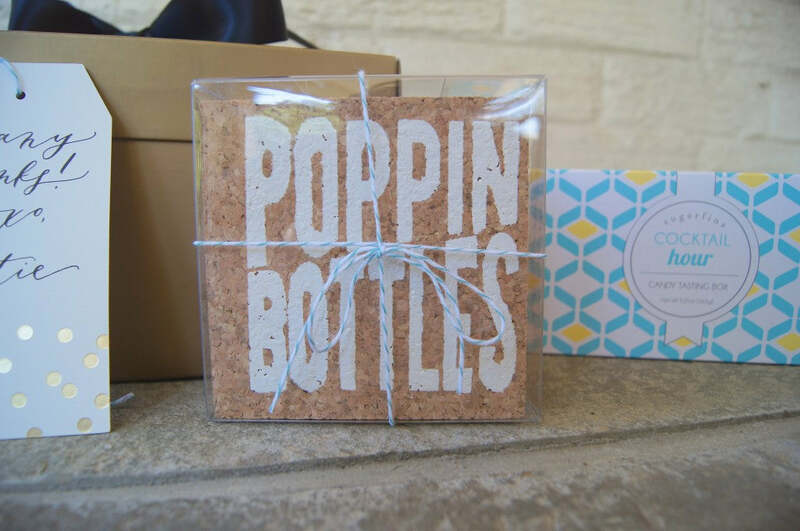 And for one more pop of fun to mirror Katie's branding, I opted for these adorable cork "Poppin Bottles" coasters. The crisp white lettering stands out and makes a statement along with the teal bakers twine as an added touch. The gifts were finished off with black satin ribbon and hand-lettered calligraphy tags by Poppy & Scooter. The tags even have gold foil confetti design for yet another element of fun! 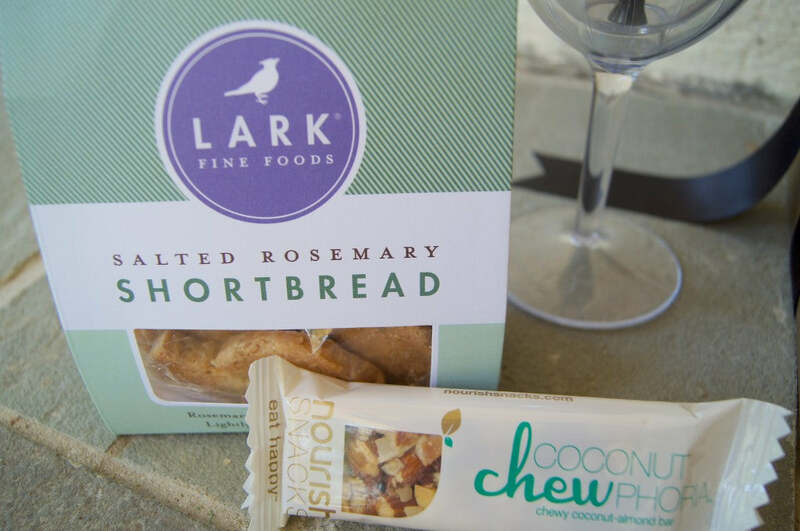 We absolutely loved working with Katie and hope her clients are enjoying their gifts! 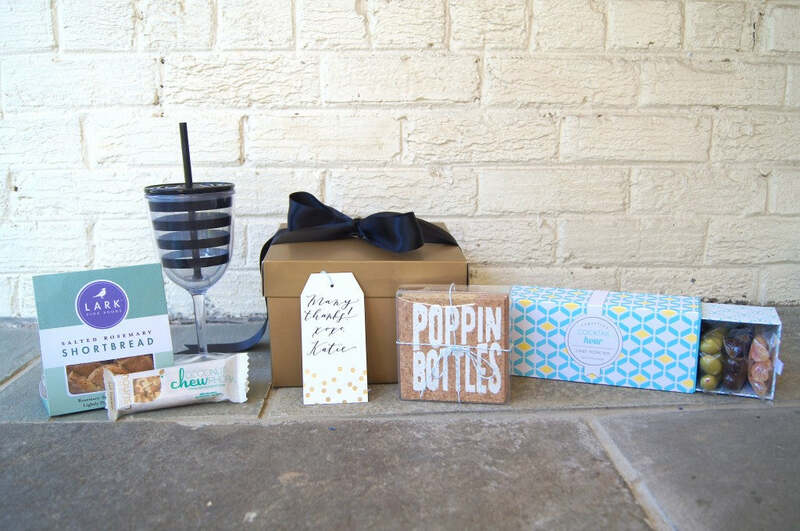 Do you want to design custom gifts for your clients? Let's chat, so we can both learn more about each other!